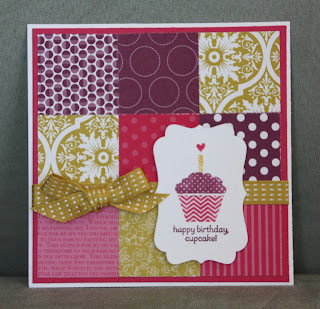 The first card today is made with the Madison Avenue stamp set. I used the Stamp a ma jig to line up all the rows. 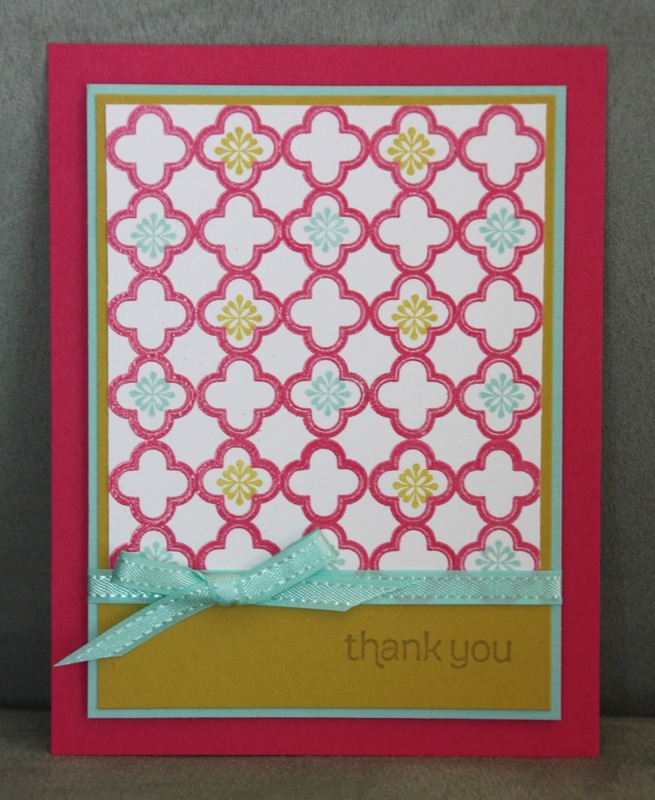 The Melon Mambo is stamped with Versamark and then embossed with Melon Mambo embossing powder. The ribbon is from the Sycamore Street Ribbon & Button pack. 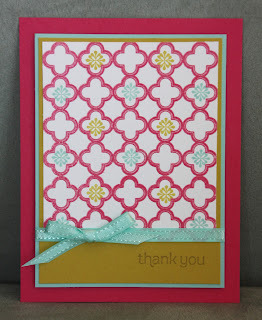 Another card today using the Patterned Occasions stamp set. 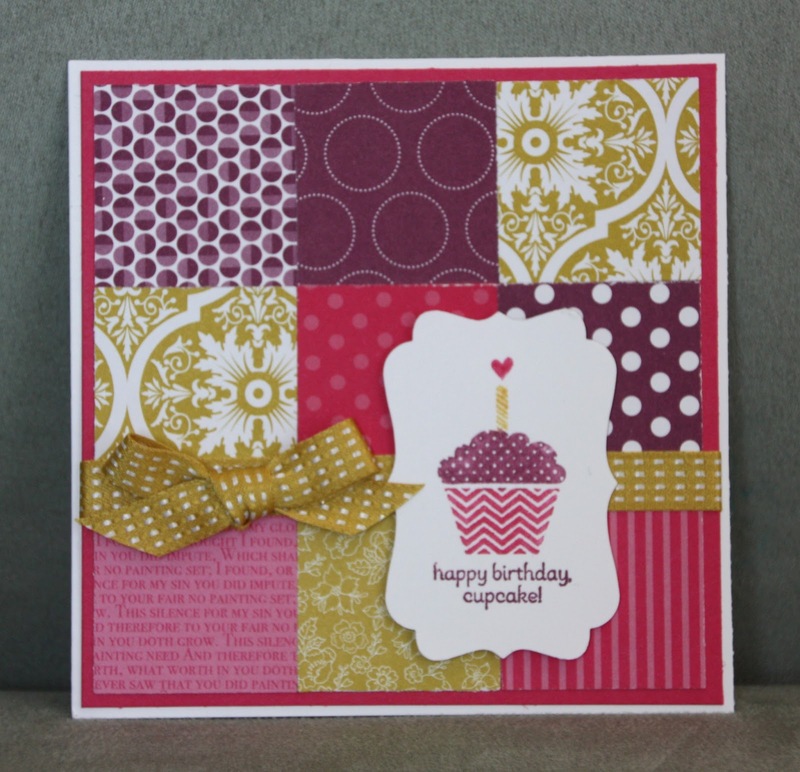 This card uses the Sycamore Street Designer series paper as well as Polka Dot Parade Designer series paper and the Brights Designer series paper pack.